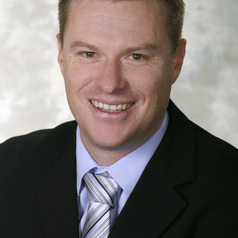 Professor Rodney Stewart is the Digital Utility Transformation Professor at Griffith School of Engineering, Griffith University, located in Queensland, Australia. He conducts research on the applications of advanced technology (e.g. smart meters, network sensors, energy storage) and big data informatics for purpose of re-engineering the water and energy utility sectors. In the water utility sector he has completed a number of high resolution smart water meter studies that provided the 'big data' to underpin detailed water end use studies, demand management strategies, bottom-up forecasting models, just-in-time pipe network infrastructure planning, water-energy nexus studies, post-meter and network leakage studies, to name a few. In the electricity sector he is working on the necessary demand forecasting and power control systems that will provide cost-efficient power supply to customers through optimising existing and newly introduced renewable energy sources being added to the network through coupling them with distributed energy storage in an intelligent micro-grid arrangement. His goal is to conduct the necessary evidence-based research to demonstrate the numerous applications and benefits of intelligent water and electricity networks in order to accelerate the current slow rate of transformation of national and international utilities to the digital era.